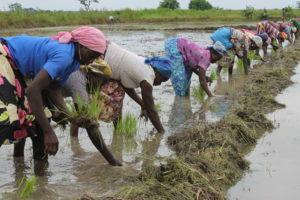 SARI’s mandate is to provide farmers in the Northern, Upper East and Upper West Regions with appropriate technologies to increase food and fibre crop production. SARI’s vision is to become a lead research and development institution by making agricultural research responsive farmers needs and national development. What is the mission of SARI? SARI’s mission is to conduct agricultural research in northern Ghana with the aim of developing and introducing improve technology. What is the motto of SARI? SARI’s moto is quality research to improve livelihood, or our research your needs, your needs our research. What are the core values of SARI? The core values of SARI are: Discipline, Dedication, Reliability, Transparency, Term work, Hard work, Professionalism. What is SARI’s research approach? FSR is the abbreviation for, farming system research. The approach emphasizes a thorough investigation of the circumstances of the farm household as a basis for determining the technical research programme. It also demands the implementation of research mainly on-farm and in collaboration with Ministry of food and Agriculture (MoFA) staff and NGOs in the field. To ensure a smooth and efficient implementation of FSR, SARI has established what are known as Farming System Research Groups (FSRGs) in the mandate area. These are groups with research scientists whose background cut across all the disciplines of agriculture – Crop Breeding, Agronomy, Entomology, Agricultural Economics, Soil Science, etc. These groups are: 1. FSRG – Upper West Region Farming Systems Research Group, located at Wa. 2. 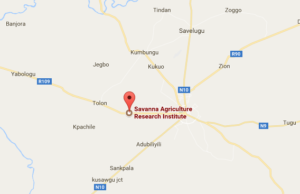 FSRG – Upper East Region Farming Systems Research Group, located at Manga near Bawku 3. FSRG – Northern Region Farming Systems Research Group, located at Nyankpala, the head office of SARI. However, there is another group at the station called the Scientific Support Group (SSG) that provides solutions on-station to problems without easy solution at the farm-level. What are the areas that SARI works on? How does SARI commercialise its products? In 1996 Parliament enacted Act 521 of 1996 that exhorts institutes within the CSIR to sell themselves; their scientists and, more importantly, the technologies that they have develop over the years. The thrust of the Act is to enable institutes of the CSIR to become financially self-supporting through the sale of their developed technologies to the private sector to strengthen their capacities and stimulate growth to the economy. Marketing Officers with the requisite competencies have been engaged by the Council to execute this aspect of her mandate. The thrust of the Act has enabled the institutes of the CSIR to become financially self-supporting through the sale of their developed technologies to the private sector to strengthen their capacities and stimulate growth to the economy. What are some of SARI’s achievements?